The muses would be proud! In Amsterdam, in the summer of 1942, the Nazis forced teenager Anne Frank and her family into hiding. For over two years, they, another family and a German dentist lived in a 'secret annexe', fearing discovery. All that time, Anne kept a diary. An intimate record of tension and struggle, adolescence and confinement, anger and heartbreak, Anne Frank's diary is one of those unique documents, famed throughout the world. It portrays innocence and humanity, suffering and survival in the starkest and most moving terms. Amazing book, amazing narration, extraordinary life. Must read. Heart wrenching but essential. Dont miss it. It was as if Anne herself had been narrating the story. Thank you Amazon . So inspiring and beautifully written. Not what I expected. Loved Helena Bonham Carter reading it! The style of narration was great. The voice modulation gave a very realistic feel... it seemed seemed​ as if Anne herself was talking. 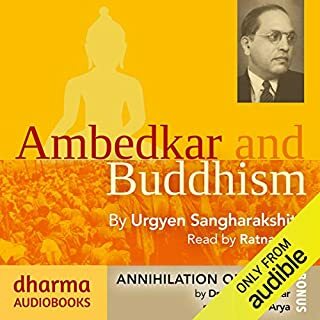 This was my first audio book and I am surely not disappointed. Witty and funny and historic writing ! Anne Frank is a savage, writing with wisdom beyond her teenage years. A great read that describes 1940's Europe from a Jewish perspective. A look into the story of a young girl surrounded by the horrors of a war that should never have happened. The narrator was first class and delivers it as if it was Anne Frank herself. A really great book, though knowing the end will come and not in the nice way diaries tend to be written these days it's abruptly sad and makes you question why the nazis were so evil and corrupt, let alone the horrible person responsible for betraying the frank family. Ultimately it's a testament of what life was like living during those years and being holed up inside only to never escape happily. 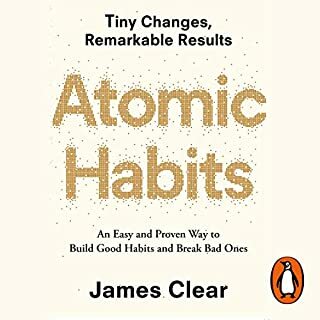 There were a few times in this book that I thought it was getting boring, nothing happening, just a dreary story of a monotonous and uneventful life during the war. But sadly this isn't fiction, it's one of many horrible true stories of a time in our history that illustrated man's inhumanity. Having visited THE house in Amsterdam and the Auscwich death camp in Poland, there were many parts of this book that sent shivers through me. Even knowing the outcome of the story in real life, it is difficult not to continually wish that they wouldn't be found, wouldn't be caught and would survive the war. To think that Anne succumbed to illness just a few days before the end of the war makes this story even more tragic. A sad, compelling and powerful book. Having read the first version as a child this book had a lasting impact on me and shaped my life to work in human rights. I am so glad I bought this and listened to it. This version makes Anne seem even more real. You love her all the more for her naivety and teenage insights. RIP Anne, if I prayed at all it would be for souls like yours. 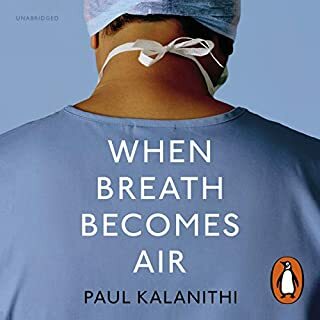 Not at all what I had expected, more a diary of a talent person forming under extraordinary circumstances than a narration on living through the fears and isolation of the circumstances themselves. If you have ever entertained a diary yourself you will relate to the extremely candid and self exploratory nature of this, the ever changing self, outbursts, self derision, externalisation, self re-evaluation and growth. Having a teenage daughter myself only made the inevitable conclusion all the more visceral. It is not a book but more a rite of passage. Is a amazing story, and the narrator is perfectly suited for this read. What other book might you compare Diary of a Young Girl to and why? Nothing, its about something historical but written in such a fresh perspective. There are many books about the holocaust but non written in this way. What does Helena Bonham Carter bring to the story that you wouldn’t experience if you just read the book? I loved the narrating, her voice suited the character and she infused it with emotions in a appropriate way. Her 'acting' was natural and not over the top. It made me sad to realise again how many brilliant people died in the holocaust because of one man's insanity. What made the experience of listening to Diary of a Young Girl the most enjoyable? I could experience what Anna must have felt and get a better picture of the girl with tragic, well-known history. Which character – as performed by Helena Bonham Carter – was your favorite? It got me very quiet and I listened to it with little pauses in between! 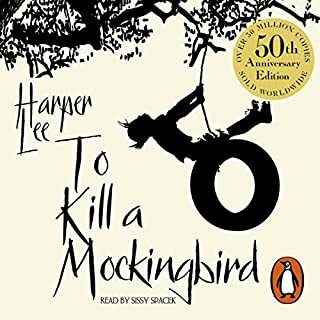 I remember reading this book as a child and loving it and was surprised at 28 years old how poignant and relevant it is still all these years later. As a teenager all the feelings Anne went through I remember feeling which is remarkable seeing as it was written over 70 years ago. 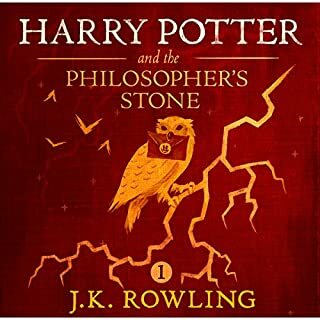 The feelings and angst felt might have been the same, but of course our upbringing and circumstances were entirely different which is what makes the book so remarkable. The most important message that is taken away from this book is how pointless war is and how pointless Anne's subsequent death was. For an innocent Jewish teenager from a family that wasn't even particularly religious, to have been murdered because she was a Jew just seems so tragic and pointless. The book seems ever more poignant in 2016 as the world again turns a blind eye on a race of people in flight from an oppressive regime. Neighbour turned against neighbour in the 40's and it seems like it was just as justifiable then as it is nowadays. It seems a sad fact that nothing has been learnt from history and the human race repeats it's past mistakes over and over. Very thought provoking book! So glad I decided to buy this book. I decided to listen to this after the book remained on my shelf, gathering dust. What an incredible book - Anne's diary entries are so detailed I almost felt I was there watching them all. Beautifully read by Helena Bonham Carter. I didn't want it to end and I felt myself becoming nervous at the thought these people would be caught at any moment. Thank you Anne M Frank. If you could sum up Diary of a Young Girl in three words, what would they be? What other book might you compare Diary of a Young Girl to, and why? Other accounts of people in hiding during WWII. It's such a novel situation that only fellow accounts offer any comparison of surviving under such constant threat of discovery. Entries where Anne is in a good mood and feeling motivated by her diary, her dear Kitty. Every time Anne writes about the future, or what she might do 'after the war', are excruciating passages, as we know what happened. Would you consider the audio edition of Diary of a Young Girl to be better than the print version? This is a beautifully narrated version of this increadibly moving diary. An insight into the thoughts and emothions of a young girl, growing and discovering herself, with the constant fears of life around her. 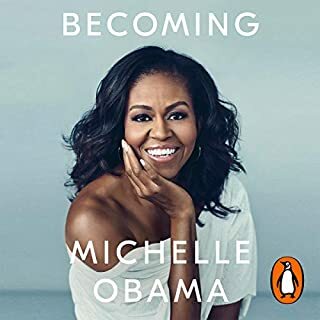 In her well written diary, you'll become familier with all the members of her family, and the people she was forced to live locked up in a few small rooms with. Be prepared to listen to the heart-wrenching sadness, of what happens to each and every one of them. 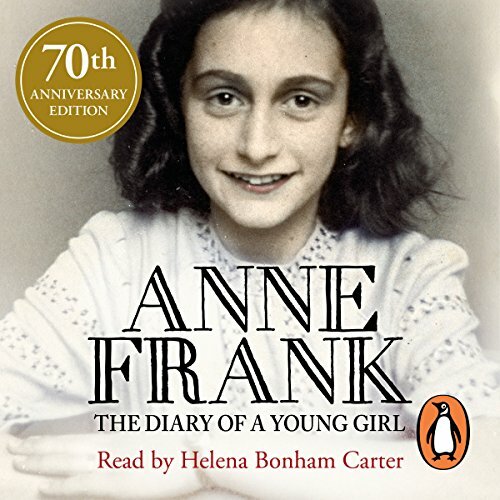 Helena Bonham Carter does a fantastic job of narrating this powerful sombre, and thought provoking diary, written by a young girl, who wrote this book for no-one but herself, yet sends a story worldwide. I believe Anne Frank liked through Helena's voice. a great effort by countless many to keep these pages live! 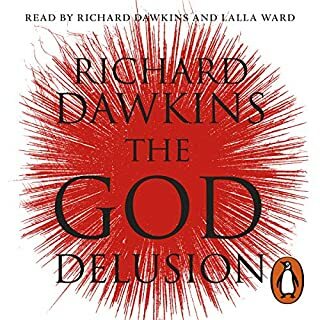 I enjoyed listening to this audiobook. The terrible tradgedy that this bright and full of life person oppressed and restrained from enjoying the normal freedom to live openly reminds you how easy it is for those possessed by evil to not only destroy but take the very joy out of others lives. As a chridtian I pray she be ressurected at the end times to enjoy the life she was so brutally denied. This is a really good one to listen to. Very good all aspects. Happy with this one. Anne Frank’s diary, which is charming, candid and endearing, is beautifully read by Helena Bonham Carter. Anne shows wisdom beyond her years, and her frank reflections on life make absorbing listening. I like the way she always appears so cheerful on the outside and only reveals her true feelings to Kitty, her diary. The diary gives the reader an accurate picture of life for Jews in hiding during the war years, and the hardships they had to endure. 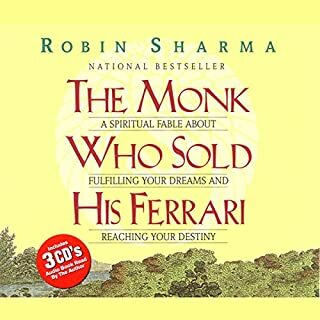 I find this audio book very enjoyable, and it is much more positive than I had expected. The reader is so good, that it seems as though it is Anne herself who is talking. 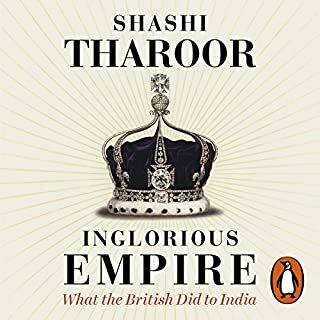 This book would appeal to anyone, especially to those interested in the prevailing austere conditions during the war. Highly recommended. A very very sad story! They should send a copy of this book to all leaders around the world, to those who start wars and kill innocent people. The world would be a different place if more people had Anne's attitude. What an example she set and documented so beautifully for us to all enjoy. RIP. A Young Girl is one of the most important books to have ever been published. I first read it when I was 14, but revisiting it as an adult, I was struck by the talent and genius of Anne. 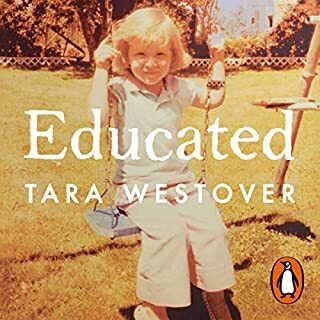 She is an observant and gifted writer who articulates honest, complex, universal truths in ways that writers beyond her years could not accomplish. Her messages of antisemitism and antiracism make her the ultimate voice of peace and acceptance. We should all be paying close attention to the words of Anne Frank. Helena Bonham Carter’s read took me to the Annex with all the passion, fear and suspense as if I was actually there. A simply beautiful, yet tragic tale. Great book, well read. Loved the story, it helped me understand their life a lot more. Five stars! 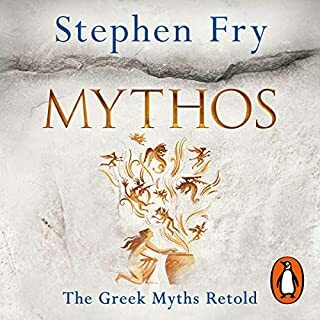 I had never read this book so it was a delight to hear it narrated so well. To be honest, the story seems so normal, so typical of a teenage girl, however the extenuating circumstances and the trials and tribulations they go through before the devastating and tragic conclusion are an incredible insight into what it was like during those times. May situations like this never happen again. this book should be a must read for people from all around the world to see and learn how to stay a good person in the worst conditions.